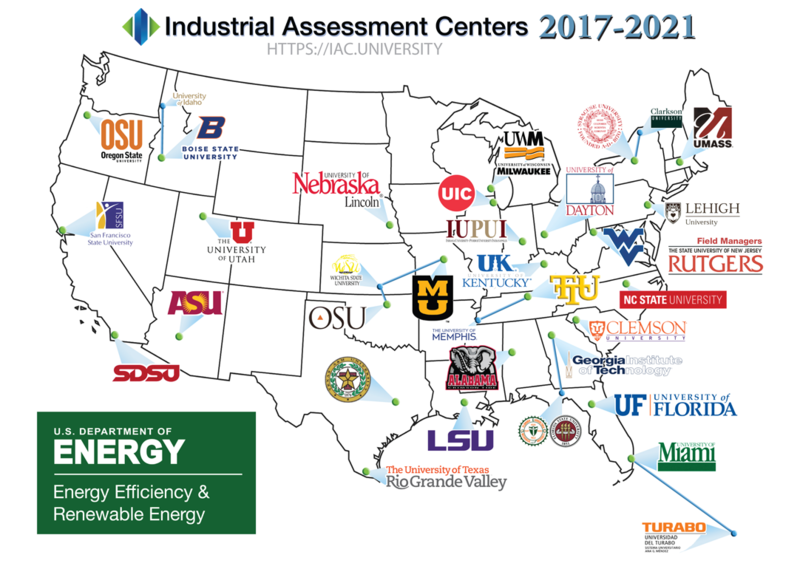 The USDOE Industrial Assessment Centers (IACs) can help small and medium sized US manufacturers save energy, improve productivity, and reduce waste by providing no-cost technical assessments conducted by university based teams of engineering students and faculty. After the site visit, the IAC team provides a comprehensive report with specific details on all opportunities for improving competitiveness identified during the assessment, including applicable rebates and incentives. The IAC program has already conducted over 18,696 assessments with more than 141,378 associated recommendations. Average recommended yearly savings is $136,792. The IAC program has already conducted over 18,696 assessments with more than 141,378 associated recommendations. Average recommended yearly savings is $136,792. 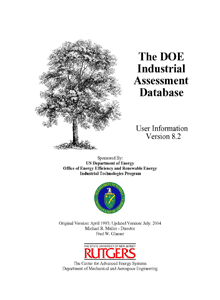 Industrial Assessment Centers (formerly called the Energy Analysis and Diagnostic Centers) were created by the Department of Commerce in 1976 in response to the oil embargo and rising energy costs. The program was specifically focused on helping small and medium-sized manufacturing facilities cut back on unnecessary costs from inefficient energy use. The IAC program was moved to the Department of Energy just after it was formed in 1978 and was later expanded to include evaluations of ineffective production procedures, excess waste production, and other production-related problems. More recent additions to the IAC program scope include improving cybersecurity awareness, exploring smart manufacturing technologies, and implementing comprehensive energy management systems. Currently the IAC program is administered through the Advanced Manufacturing Office under the Office of Energy Efficiency and Renewable Energy at the Department of Energy. These case studies highlight specific assessments with notable recommendations and implementation. The IAC centers published multiple papers each years based on and inspired by IAC related activities. 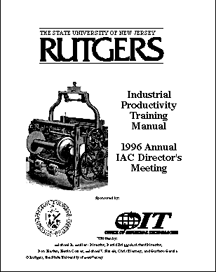 Includes IAC program manuals, guidelines, and other related technical documents. 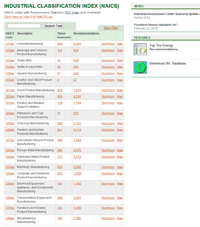 A collection of all the publicly available assessment and recommendation data is available online in the Industrial Assessment Centers (IAC) Database. This includes information on the type of facility assessed (size, industry, energy usage, etc.) and details of resulting recommendations (type, energy & dollars savings etc.). 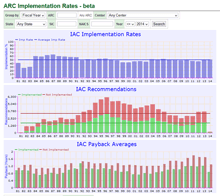 A Recommendation Index is available for all assessment recommendation codes (ARC) and Recommendation Implementation Rates can be charted by center, years, or state. 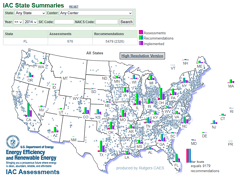 Nationwide locations of assessments and recommendations can be mapped using the IAC Activity Map. Top Ten lists of assessments and recommendations can be generated for specific criteria. The IAC database is also available for download.